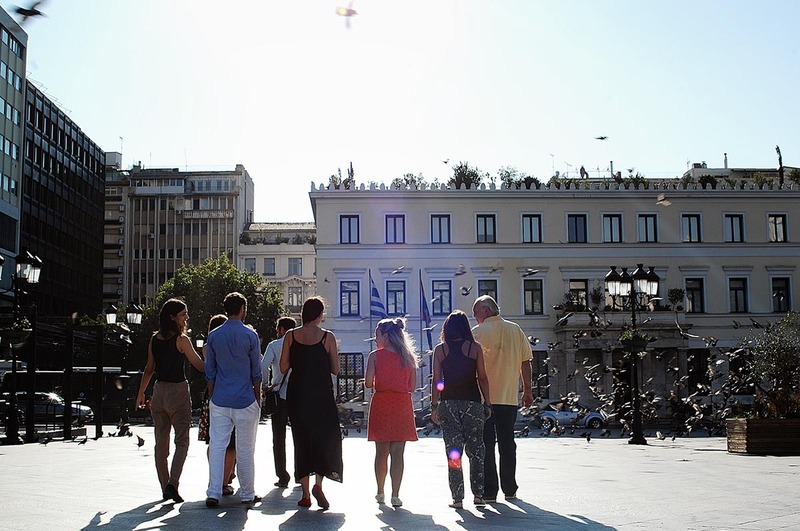 <h2>Athens is named the 2018 European capital of innovation</h2><br /><p><strong>Winner: Athens, Greece</strong></p> <p><img class="@alignleft@" title="The Athenian project Curing the Limbo connects local citizens with refugees. Image credit - Athens City Council " src="https://horizon-media.s3-eu-west-1.amazonaws.com/s3fs-public/IMCEUpload/athens.jpg" alt="The Athenian project Curing the Limbo connects local citizens with refugees. Image credit - Athens City Council " width="" height="" /></p> <p>Austerity, economic hardship and being on the frontline of Europe's refugee crisis have created immense social challenges for the people of Athens.</p> <p>The city is responding by applying innovation at a social level. For example, a project called <a href="https://www.uia-initiative.eu/en/uia-cities/athens" target="_blank" rel="noopener noreferrer">Curing the Limbo</a> is connecting the growing refugee population to local citizens, by providing them with affordable living spaces, whilst in return, refugees work for the public benefit and recieve on-the-job training from the University of Athens. The refugees will acquire skills in language learning, psychosocial support and knowledge about their legal rights.</p> <p>Athens sees itself as a city that has been able to do more with less. It prides itself on the compassion of its inhabitants and sees itself as a pioneer of innovation that will help societies address future challenges.</p> <p>&nbsp;</p> <p><strong>Runner-up:&nbsp;Aarhus,</strong> <strong>Denmark</strong></p> <p><img class="@alignleft@" title="Aarhus aims to become carbon neutral by 2030. Image credit - Dennis Borup" src="https://horizon-media.s3-eu-west-1.amazonaws.com/s3fs-public/IMCEUpload/aarhus_forside_crop.jpg" alt="Aarhus aims to become carbon neutral by 2030. Image credit - Dennis Borup" width="" height="" /></p> <p>Edged by sandy beaches and pristine forest, Aarhus is Denmark’s fastest growing city. 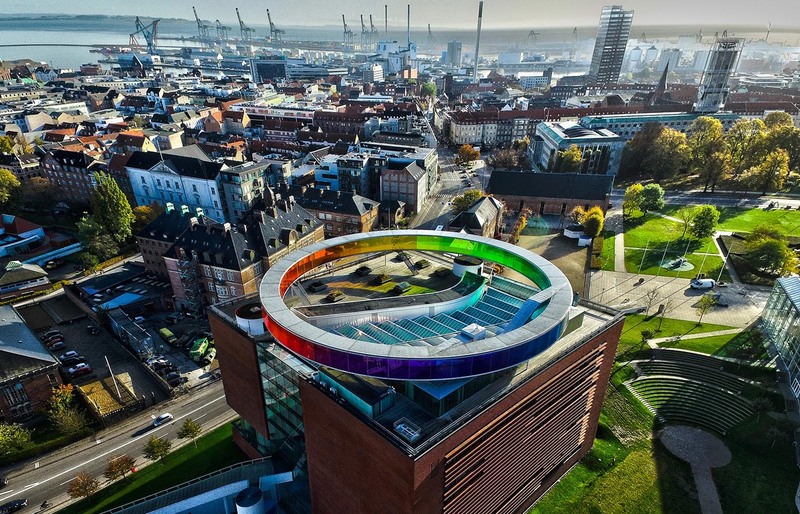 To tackle ensuing challenges such as increased traffic and weakened social cohesion, it established the <a href="https://www.icapitalaarhus.dk/the-aarhus-goals/" target="_blank" rel="noopener noreferrer">Aarhus Goals</a> as a blueprint for growth, which include targets to create 4,000 new jobs annually and become carbon neutral by 2030.</p> <p>Aarhus uses <a href="https://www.youtube.com/watch?v=ip-Wf2_D160" target="_blank" rel="noopener noreferrer">a network of 130 Bluetooth sensors</a> to tackle traffic congestion and reduce fuel consumption. The sensors collect data from devices on board vehicles, such as smartphones, in monitored areas where it is then uploaded and stored in the cloud to be analysed by traffic strategists. It has also provided <a href="https://portal.opendata.dk/organization/about/city-of-aarhus" target="_blank" rel="noopener noreferrer">open access</a> to a large amount of data from Danish institutions and companies so that it can be used to create digital services on topics including recycling, traffic and sports.</p> <p>The physical city is changing too. The university and trade hub are working on projects to improve public transportation and renovate the harbour to create new homes, whilst an abandoned central railroad depot has become a cultural and entrepreneurial hotspot.</p> <p>&nbsp;</p> <p><strong>Runner-up: Leuven, Belgium</strong></p> <p><img class="@alignleft@" title="Leuven is home to one of the top ranked universities in the world. Image credit - Willem Govaerts" src="https://horizon-media.s3-eu-west-1.amazonaws.com/s3fs-public/IMCEUpload/leuven.jpg" alt="Leuven is home to one of the top ranked universities in the world. Image credit - Willem Govaerts" width="1200" height="801" /></p> <p>Leuven is a magnet for students, talent and innovation, sporting one of the top ranked universities in the world, as well as Europe’s largest independent nanoelectronics research centre. In 2018, KU Leuven topped the list for the third year in a row on Reuters’ ranking of Europe’s most innovative universities.</p> <p>Leuven embraces collaboration, leading to the creation of the <a href="https://www.leuvenmindgate.be/" target="_blank" rel="noopener noreferrer">Leuven MindGate</a>, a network of civil societies, government, industry and academia which was set up in 2016 to position the region internationally as a top destination in health, high-tech and creativity. It also encourages cross-pollination of ideas for the benefit of local companies. Another initiative, Leuven 2030, is a collective of 100 organisations committed to make the city carbon neutral by the end of the next decade.</p> <p>&nbsp;</p> <p><strong>Runner-up: Hamburg, Germany</strong></p> <p><img class="@alignleft@" title="Hamburg hosts Europe’s largest district for car sharing. Image credit - www.mediaserver.hamburg.de / Ralph Larmann" src="https://horizon-media.s3-eu-west-1.amazonaws.com/s3fs-public/IMCEUpload/Hamburg_crp.jpg" alt="Hamburg hosts Europe’s largest district for car sharing. Image credit - www.mediaserver.hamburg.de / Ralph Larmann" width="1200" height="764" /></p> <p>Connect, collaborate and create are the principles which drive the German city’s approach to innovation. 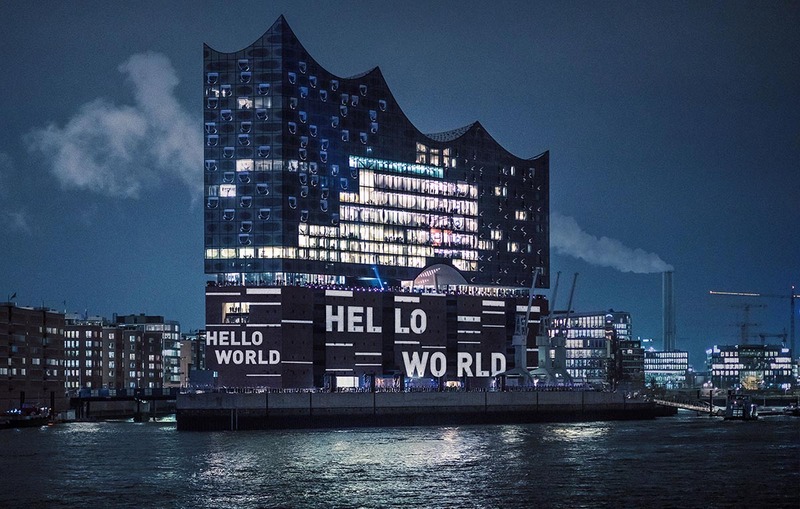 Hamburg is a trading hub that fosters future-thinking industries from life sciences and fintech, to speeding up applying medical research for major public health issues such as antibiotic resistance. It also boasts the third largest <a href="https://www.hamburg-aviation.de/en/aviation-site.html" target="_blank" rel="noopener noreferrer">civil aviation site</a> in the world where research from aircraft design to recycling is carried out.</p> <p>Hamburg is dedicated to environmental responsibility, hosting Europe’s largest district for car sharing and electro mobility. It is also developing sustainable mobility and logistics as well as regenerative energy for the metropolitan area, which has a population of 5 million. Hamburg also <a href="https://www.uni-hamburg.de/en/forschung/forschungsprofil/exzellenzcluster/clisap.html" target="_blank" rel="noopener noreferrer">has a climate cluster</a>: a collection of 250 scientists and technicians from across the nation, to help predict and mitigate the effects of climate change.</p> <p>&nbsp;</p> <p><strong>Runner-up: Toulouse, France</strong></p> <p><img class="@alignleft@" title="Toulouse's driverless autonomous shuttle was created by a local start-up. 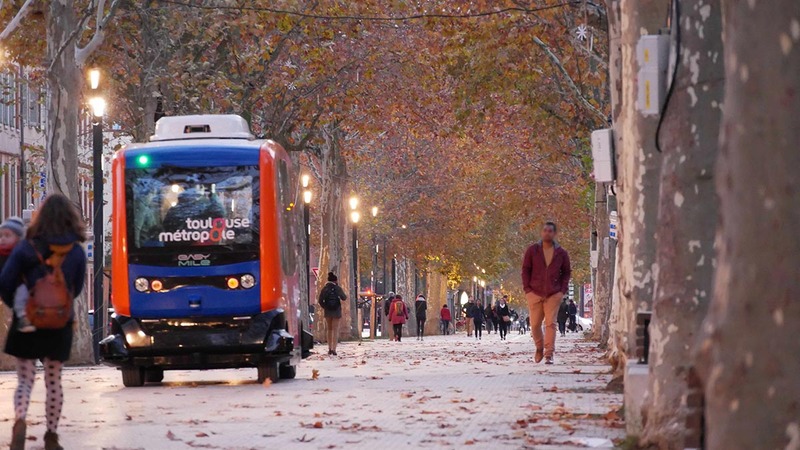 Image credit - ©EasyMile " src="https://horizon-media.s3-eu-west-1.amazonaws.com/s3fs-public/IMCEUpload/toulouse.jpg" alt="Toulouse's driverless autonomous shuttle was created by a local start-up. Image credit - ©EasyMile " width="1200" height="675" /></p> <p>This city, which was France's first metropolis, has implemented an Open Métropolis strategy to adopt the most powerful technologies to improve people's daily lives. As part of the vision for a future city, it has set up a series of urban experiments, including a digital social wall display to show social network flows corresponding to a given event and a fall detection monitoring system for elderly people. The aim is to meet future economic and demographic growth challenges head on.</p> <p>Toulouse also created the <a href="https://www.toulouse-metropole.fr/smart-city-en/the-usages-laboratory" target="_blank" rel="noopener noreferrer">Usages Laboratory</a>, a location that brings together start-ups, citizens, and businesses to propose and experiment with ideas, such as the artificially intelligent chatbot Violette, who assists people in public or mobility projects. One example is the city’s autonomous shuttle EasyMile, created by a local start-up to test the use of these driverless vehicles for tourists and transportation of goods.</p> <p>Toulouse was the European City of Science for 2018 and hosted the EuroScience Open Forum.</p> <p>&nbsp;</p> <p><strong>Runner-up:&nbsp;Umeå, Sweden</strong></p> <p><img class="@alignleft@" title="Umeå was ranked number one in Sweden in terms of jobs created, thanks to the rapid growth of its creative economy. 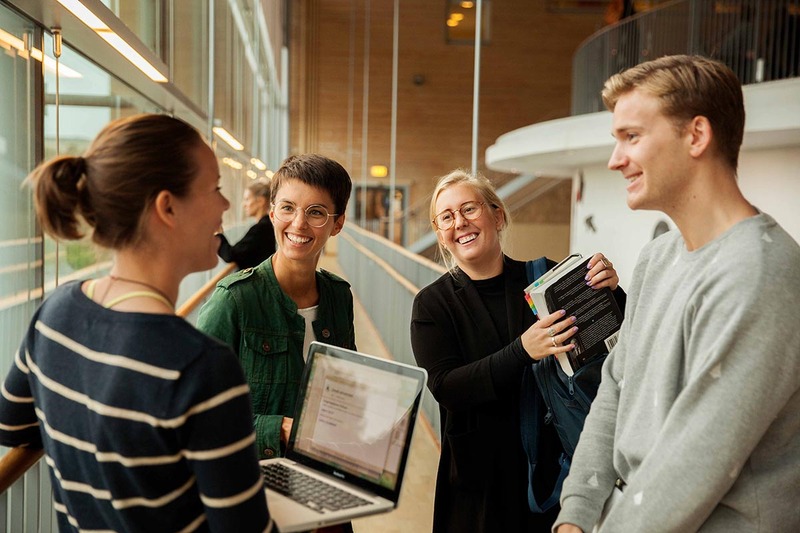 Image credit - Umea City Council " src="https://horizon-media.s3-eu-west-1.amazonaws.com/s3fs-public/IMCEUpload/umea.jpg" alt="Umeå was ranked number one in Sweden in terms of jobs created, thanks to the rapid growth of its creative economy. Image credit - Umea City Council " width="1200" height="800" /></p> <p>The smallest city in the iCapital finals prioritises creativity and the sharing of ideas between citizens, organisations, academia, companies and other cities, giving a platform to underrepresented groups and community-based approaches.</p> <p>In 2017, the city, which is around 400km from the Arctic Circle, was ranked number one in Sweden in terms of jobs created, thanks to the rapid growth of its creative economy, hosting designers and digital artists. Umeå wants to increase its population by more than half to 200,000 by 2050, while remaining socially, econologically, culturally and economically sustainable.</p> <p>Umeå also prides itself on its work towards gender equality, even highlighting gender bias in the city's guided tours when talking about institutions such as schools and public football pitches, it is also home to Europe's first 5G hospital.</p> <p> <div class="moreInfoBlock"> <h3>European Capital of Innovation (iCapital)</h3> <p>The <a href="https://ec.europa.eu/info/research-and-innovation/funding/funding-opportunities/prizes/icapital_en" target="_blank" rel="noopener noreferrer">iCapital</a> cash prize is an annual award which recognises a city's unique approach to innovation.</p> <p>Cities are judged on how well they foster open innovation, engage and empower citizens in governance and decision-making, and come up with original solutions to social challenges, sustainability and improving the lives of residents. They are also evaluated on how well they set an example for other cities to follow in their steps.</p> <p>To apply, a city must have a population of more than 100,000 people and be located in an EU country, or one that is associated with Horizon 2020, EU’s research and innovation programme<strong>.</strong></p> </div> </p> <br /> <img src=”http://www.google-analytics.com/collect?v=1&tid=UA-40077089-1&cid=athens-is-named-the-2018-european-capital-of-innovation&t=event&ec=republish&ea=read&el=athens-is-named-the-2018-european-capital-of-innovation&cs=republish&cm=republish&cn=republish&cm1=1" /> This post <a href="https://horizon-magazine.eu/article/athens-named-2018-european-capital-innovation.html">Athens is named the 2018 European capital of innovation</a> was originally published on <a href="https://horizon-magazine.eu/">Horizon: the EU Research &amp; Innovation magazine | European Commission</a>. Athens, Greece has been named the 2018 European Capital of Innovation for the innovative ways in which it has overcome social and economic challenges and turned them into new opportunities. The €1 million iCapital first prize was announced at the Web Summit in Lisbon, Portugal on 6 November, with five other European cities receiving runner-up prizes of €100,000. 'Athens has shown a new dimension to what we mean by innovation. It is not only for the powerful, well-resourced and prosperous cities, it is for everyone,' said Athens' mayor Georgios Kaminis, when the award was announced. Last year's iCapital winner was Paris, France. Austerity, economic hardship and being on the frontline of Europe's refugee crisis have created immense social challenges for the people of Athens. The city is responding by applying innovation at a social level. For example, a project called Curing the Limbo is connecting the growing refugee population to local citizens, by providing them with affordable living spaces, whilst in return, refugees work for the public benefit and recieve on-the-job training from the University of Athens. The refugees will acquire skills in language learning, psychosocial support and knowledge about their legal rights. 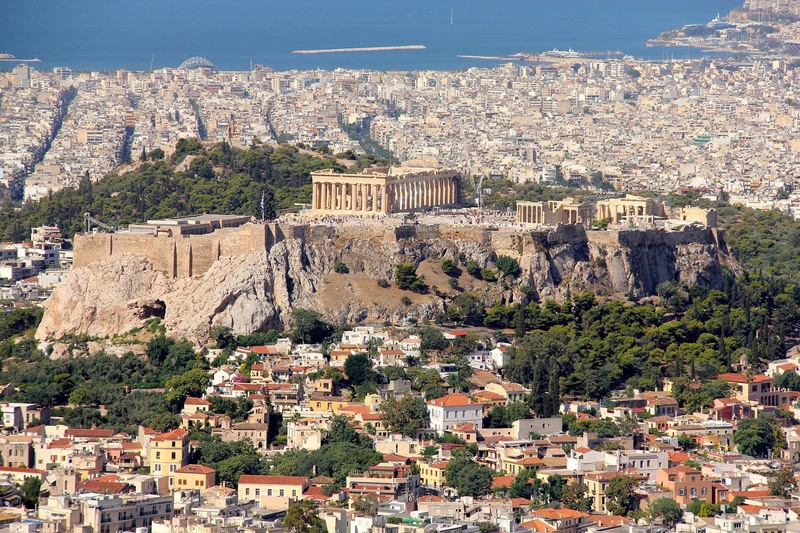 Athens sees itself as a city that has been able to do more with less. It prides itself on the compassion of its inhabitants and sees itself as a pioneer of innovation that will help societies address future challenges. Edged by sandy beaches and pristine forest, Aarhus is Denmark’s fastest growing city. To tackle ensuing challenges such as increased traffic and weakened social cohesion, it established the Aarhus Goals as a blueprint for growth, which include targets to create 4,000 new jobs annually and become carbon neutral by 2030. Aarhus uses a network of 130 Bluetooth sensors to tackle traffic congestion and reduce fuel consumption. The sensors collect data from devices on board vehicles, such as smartphones, in monitored areas where it is then uploaded and stored in the cloud to be analysed by traffic strategists. It has also provided open access to a large amount of data from Danish institutions and companies so that it can be used to create digital services on topics including recycling, traffic and sports. The physical city is changing too. The university and trade hub are working on projects to improve public transportation and renovate the harbour to create new homes, whilst an abandoned central railroad depot has become a cultural and entrepreneurial hotspot. Leuven is a magnet for students, talent and innovation, sporting one of the top ranked universities in the world, as well as Europe’s largest independent nanoelectronics research centre. In 2018, KU Leuven topped the list for the third year in a row on Reuters’ ranking of Europe’s most innovative universities. 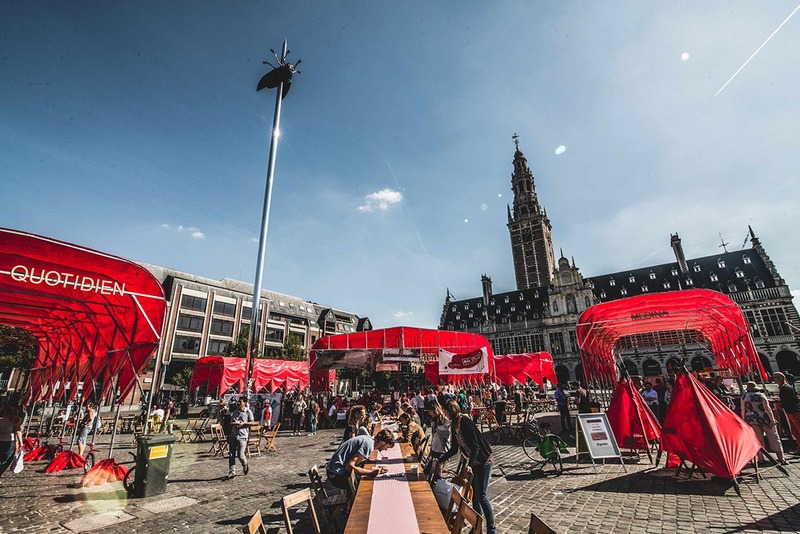 Leuven embraces collaboration, leading to the creation of the Leuven MindGate, a network of civil societies, government, industry and academia which was set up in 2016 to position the region internationally as a top destination in health, high-tech and creativity. It also encourages cross-pollination of ideas for the benefit of local companies. Another initiative, Leuven 2030, is a collective of 100 organisations committed to make the city carbon neutral by the end of the next decade. Connect, collaborate and create are the principles which drive the German city’s approach to innovation. Hamburg is a trading hub that fosters future-thinking industries from life sciences and fintech, to speeding up applying medical research for major public health issues such as antibiotic resistance. It also boasts the third largest civil aviation site in the world where research from aircraft design to recycling is carried out. Hamburg is dedicated to environmental responsibility, hosting Europe’s largest district for car sharing and electro mobility. It is also developing sustainable mobility and logistics as well as regenerative energy for the metropolitan area, which has a population of 5 million. Hamburg also has a climate cluster: a collection of 250 scientists and technicians from across the nation, to help predict and mitigate the effects of climate change. This city, which was France's first metropolis, has implemented an Open Métropolis strategy to adopt the most powerful technologies to improve people's daily lives. As part of the vision for a future city, it has set up a series of urban experiments, including a digital social wall display to show social network flows corresponding to a given event and a fall detection monitoring system for elderly people. The aim is to meet future economic and demographic growth challenges head on. Toulouse also created the Usages Laboratory, a location that brings together start-ups, citizens, and businesses to propose and experiment with ideas, such as the artificially intelligent chatbot Violette, who assists people in public or mobility projects. One example is the city’s autonomous shuttle EasyMile, created by a local start-up to test the use of these driverless vehicles for tourists and transportation of goods. Toulouse was the European City of Science for 2018 and hosted the EuroScience Open Forum. The smallest city in the iCapital finals prioritises creativity and the sharing of ideas between citizens, organisations, academia, companies and other cities, giving a platform to underrepresented groups and community-based approaches. In 2017, the city, which is around 400km from the Arctic Circle, was ranked number one in Sweden in terms of jobs created, thanks to the rapid growth of its creative economy, hosting designers and digital artists. Umeå wants to increase its population by more than half to 200,000 by 2050, while remaining socially, econologically, culturally and economically sustainable. Umeå also prides itself on its work towards gender equality, even highlighting gender bias in the city's guided tours when talking about institutions such as schools and public football pitches, it is also home to Europe's first 5G hospital. The iCapital cash prize is an annual award which recognises a city's unique approach to innovation. Cities are judged on how well they foster open innovation, engage and empower citizens in governance and decision-making, and come up with original solutions to social challenges, sustainability and improving the lives of residents. They are also evaluated on how well they set an example for other cities to follow in their steps. To apply, a city must have a population of more than 100,000 people and be located in an EU country, or one that is associated with Horizon 2020, EU’s research and innovation programme.